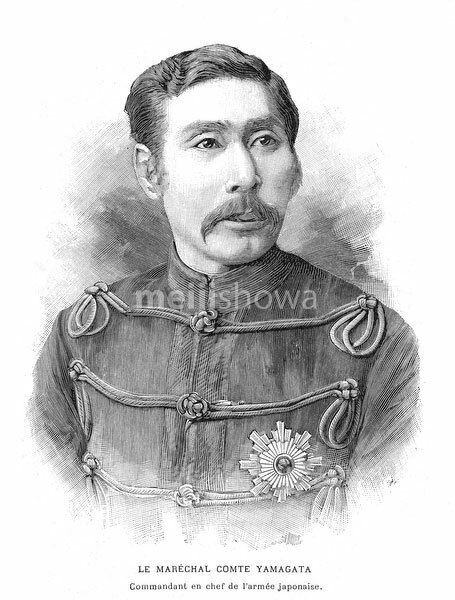 Aritomo Yamagata (山縣有朋, 1838–1922), was a field marshal in the Imperial Japanese Army and twice Prime Minister of Japan. He is one of the architects of the military and political foundations of early modern Japan. Published in the French illustrated weekly L’Illustration on September 29, 1894 (Meiji 27).